The appellation 2016 Pinot Noir Santa Lucia Highlands is a beauty. Sourced from Soberanes, Garys’, and Pisoni, it’s a silky, seamless effort that offers lots of upfront black raspberry and cherry fruits intermixed with crushed flowers and exotic spices. It has the fruit of the appellation yet has elegance and finesse as well. Drink it over the coming 6-8 years. The 2016 Pinot Noir Garys' Vineyard is another terrific 2016 from this estate. Brought up in 40% new French oak, it offers a focused, elegant, medium to full-bodied style as well as terrific notes of violets, blueberries, spice, and earth. It has terrific purity, elegance, and length, and is one of the finest examples I’ve tasted of this cuvée. 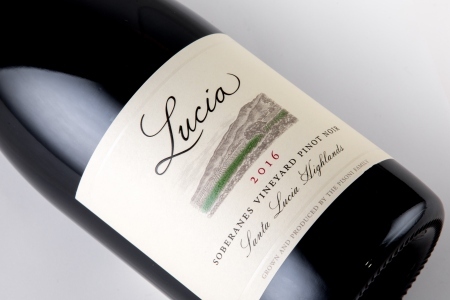 The 2016 Pinot Noir Soberanes Vineyard sports a darker ruby color as well as broad, expansive aromas and flavors of black cherries, red currants, spice and sous bois. This medium to full-bodied, earthy, beautifully concentrated effort has a touch of Côte de Nuits-like character and will drink beautifully for 7-8 years.